Cyclus Offset, Curious metal, Desert Storm, Natural Evolution, Trace, Rives Tradition, Linen and Cocoon. This Surcharge does not apply to your other favourite stocks, like Magno Satin coated or Colotech gloss and matt. 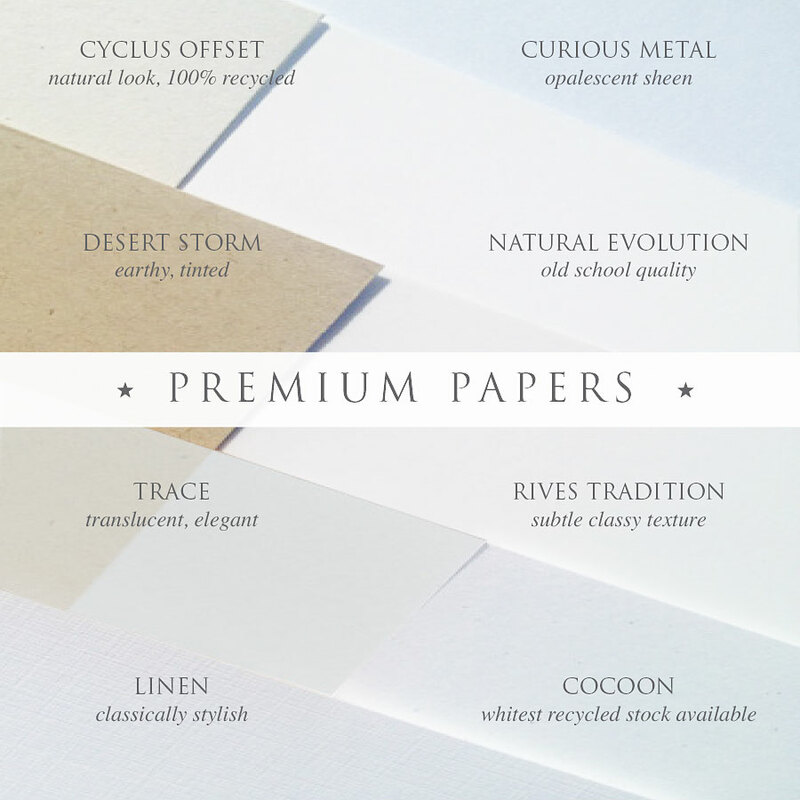 Please contact us for pricing and let us help you choose the best paper to suit your project!